Christian Brothers Academy Wrestling notched its first signature win under first year head coach Billy Ashnault on Monday evening. The Colts upset Notre Dame, 47-33, on the road to win their first round match in the NJSIAA Non-Public A South Tournament. 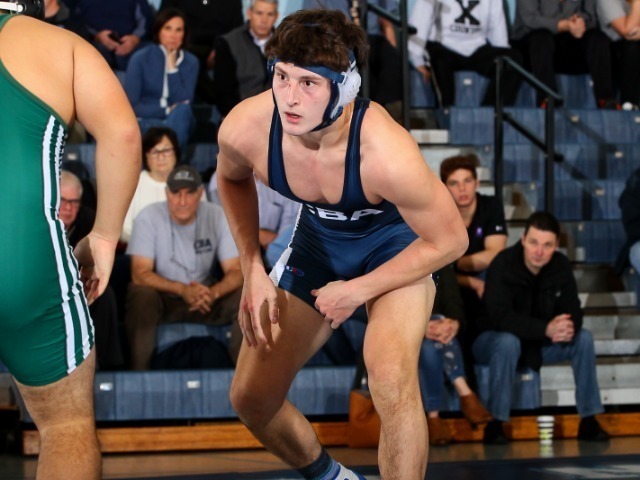 Christian Brothers was paced by senior captains Sam LaCorte (138 lbs) and Derek Smith (170 lbs), who were two of the eight match winners for the Colts. "Derek and Sam have been committed to me since I took over this program," Ashnault said. "It's exciting to show up to work every day when you have student-athletes committed and hungry to get better, which is exactly what Derek and Sam present. They lead by example for the underclassmen to feed off of." CBA won the last three matches and six out of their last eight to secure the victory. "Traveling to an away match like this and winning against any opponent helps build up some confidence moving forward," Ashnault said. "The younger guys have matured throughout the season and you can see the excitement and energy that they have each day. I keep telling them to stay disciplined and trust the process." The Colts will now face top-seeded St. Augustine on Wednesday in the quarterfinals. Regardless of the outcome on Wednesday night, CBA Wrestling is moving in an exciting direction with Ashnault and the underclassmen growing as a team. "We have many great people involved with this program at CBA," Ashnault said. "The relationships I make with every student-athlete is something that gets me excited for the future."